Warren Forest is a picturesque, naturally secluded park set in an area of outstanding natural beauty, only 9 miles north west of the elegant spa town Harrogate. The park is carefully landscaped within 33 acres of woodland to take full advantage of the tranquil surroundings and the panoramic views over Nidderdale. All the holiday homes are in environmental green with substantial timber decking to blend in with the woodland location and the pitches are all fully serviced. We can supply any make of caravan holiday home from all leading manufacturers, occasionally we have good quality used caravan holiday homes available. Warren Forest Park has been judged ‘Best Park in England’ and the ‘Best Park in Britain’ in the Calor Gas Caravan Park awards. Facilities on the park include a nine-hole putting green, boules court, library and laundry. Within the park there are numerous woodland walks to be enjoyed and being only 1.5 miles away from Brimham Rocks the park is an excellent base for people interested in walking. Fountains Abbey is close by and Pateley Bridge only 5 miles away. The park, family owned and run, opens each year from mid-March until mid-November. Residents are welcome to visit during winter months. 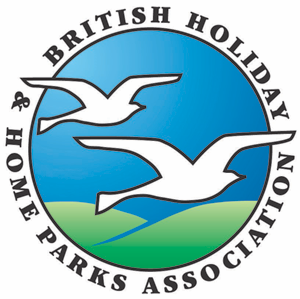 To give peace of mind to the caravan holiday home owners we do not hire units or take touring caravans, the park is exclusively for holiday home owners. A park appealing to those without family ties. Excellent walking country. No tourers or hire units. Roundabout on A61 Ripley, B6165 Pateley Bridge. 0.5m right Fountains Abbey. Approx 3m left Warsill & Brimham Rocks. 1.5 miles Park on left.